Treatment with Immiticide can cause a significant change in your pet’s behavior. Unfortunately, there is no clinical method to determine how a dog will behave immediately after being treated with Immiticide. The AHS has compiled data that indicates common changes to the normal way of behaving in pets treated with Immiticide. These changes are a result of the entire process because Immiticide is a strong drug that does have side effects such as nausea and joint pain. Most reactions to the drug are physical instead of behavioral. 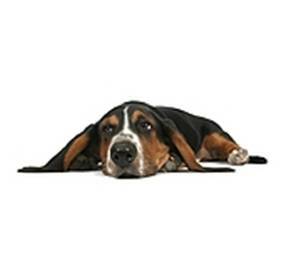 In most cases, dogs become lethargic after treatment. This is due to the physical pain associated with the injection of Immiticide. Usually for two or three days afterwards, your pet may not eat, drink, or move. Most will seem listless and will not engage in any activity. This is entirely expected and can be attributed to pain and nausea. As the Immiticide is metabolized and released from the body, most pets will begin to feel better. Gradually, they will begin to eat and move around. Most veterinarians will advise pet owners to expect this reaction. However, many pet owners are surprised when their treated dog is actually restless afterwards. While restlessness is not the most common symptom, it is certainly the case that many pets become restless and agitated. To understand this behavior you must consider how humans react differently when undergoing medical treatment. Some people who experience extreme pain cannot sit still, while other people may want to stay in bed. Your dog may be so uncomfortable it becomes agitated and cannot sit still. Symptoms include pacing back and forth, or moving from one room to another and being unable to settle. In many cases, the animal is simply unable to feel comfortable sitting or lying down. This restlessness should pass after a day or two. If the behavior continues, contact your veterinarian for further instructions. This is important because as part of the heartworm treatment aftercare, you must ensure that your dog is kept calm and inactive for up to six weeks after treatment. I made the short video below to explain what treatment with Immiticide involves. After a week or two, most dogs return to normal behavior. The drug usually kills the worms within five days and the Immiticide is metabolized. At this point, dogs will feel better and are likely to become more active. This is usually the point where mild coughing will develop as the dead worms are expelled from the heart to the lungs. Some will experience breathing issues during this time. Panting and labored breathing is common. If your dog seems restless at this point, it may be due to the restriction of activity. This is particularly true in younger animals. Once they begin to feel better, they are ready to run and play. Due to the restriction of activity, some dogs develop destructive tendencies during the remaining three or four weeks. Out of frustration, many pets will chew shoes, pillows, and even furniture. Fortunately, once your veterinarian determines it is safe for your pet to return to normal activity, the destructive behavior will disappear. If your pet is experiencing unusual changes to the way he normally behaves after Immiticide treatment, it is best to discuss this with your veterinarian. He or she will determine if the type of behaviour you are seeing is out of the ordinary and whether further investigation is necessary. However, under normal circumstances, you can expect your dog to return to normal two weeks after treatment. My Bassett hound came to us with heartworms. He was a normal happy little guy who loved everyone . We were fortunate to be able to have treatment . husband, to this time. I have no reason to believe my dog was abused by him. My husband denies anything to harm him other than being the one who took him to the vet. He would not hurt anything. We seem to think he associates my husband with the treatment ,as he took him to the vet. I am worried that his mental change is a side effect from the med. I know that poisons can cause mental changes. I know about arsenic causing extreme head and neck pain from swelling , as well as mental changes. denies this, I can’t help but worry about it. I have visited with my vet about this and they are not aware of these problems. confinement causing the problem. I was with him all the while to comfort him. I have since adopted another dog , which has helped some. But the fear and trembling continues when my husband comes home or is in the house. The dog anticipates his coming home and becomes very fearful. My husband has bone marrow cancer. Does the dog smell it and fear him? or does it remain permanently in his brain tissue? Thank You. I am grateful for the med to help him. Clara, I am so sorry to learn of your husband’s illness and of the behavioral problems your dog is experiencing. This must be very distressing for you and your husband. I cannot offer any suggestions that might help but publishing your experience here may bring a response from other readers who may have some positive suggestions or experiences to share.